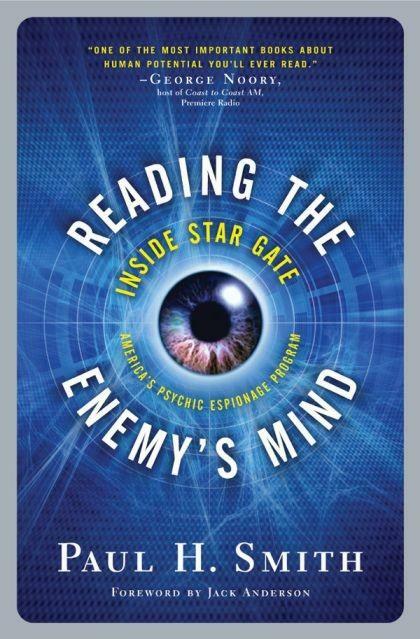 Order a signed copy of Reading the Enemy's Mind: Inside Star Gate, America's Psychic Espionage Program, from the author, Paul H. Smith. 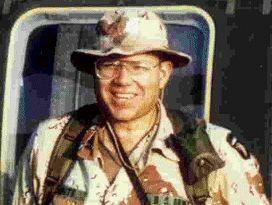 Learn more about Paul and remote viewing at Remote Viewing Instructional Services, Inc.
Paul H. Smith, a retired Army intelligence officer and Operation Desert Storm veteran, spent seven years in the Department of Defense's remote viewing program, serving as operational remote viewer, theory instructor and trainer, security officer, and unit historian. Smith has a B.A. in Middle Eastern studies from Brigham Young University, an M.S. in Strategic Intelligence (Middle East emphasis) from the National Intelligence University, and a PhD in philosophy of mind, consciousness and philosophy of science from the University of Texas at Austin. He is president of Remote Viewing Instructional Services, Inc., and past president of the nonprofit International Remote Viewing Association. If you thought The Manchurian Candidate was fiction or John Farris's The Fury, which featured a CIA mind-control program run amok, was the stuff of an overheated imagination, you were sorely mistaken. From behind the cloak of U.S. military secrecy comes the story of Star Gate, the project that for nearly a quarter of a century trained soldiers and civilian spies in extra-sensory perception (ESP). Their objective: To search out the secrets of America's cold war enemies using a skill called "remote viewing." Paul H. Smith, a U.S. Army Major, was one of these viewers. Assigned to the remote viewing unit in 1983 at a pivotal time in its history, Smith served for the rest of the decade, witnessing and taking part in many of the seminal national-security crises of the twentieth century. With the Star Gate secrets declassified and the program mothballed by the Central Intelligence Agency, the story can now be told of the ordinary soldiers drafted onto the battlefield of human consciousness. Using hundreds of interviews with the key players in the Star Gate program, and gathering thousands of pages of documents, Smith opens the records on this remarkable chapter in American military, scientific, and cultural history. He reveals many secrets about how remote viewing works and how it was used against enemy targets. Among these stories are the search for hostages in Lebanon; spying on Soviet directed energy weapons; investigating the bombing of Pan Am Flight 103 over Lockerbie, Scotland; tracking foreign testing of weapons of mass destruction; combating narco-trafficking off America's coasts; aiding in the Iranian hostage situation; finding KGB moles in the CIA; pursuing Middle East terrorists; and more. Between the lines in the official records are revelations about unrelenting attempts from within and without to destroy the remote viewing program, and the efforts that kept Star Gate going for more than two decades in spite of its enemies. This is a story for the believer and the skeptic---a rare look at the innards of a top secret program and an eye-opening treatise on the power of the human mind to transcend the limitations of space and time.